The goal of Build For LIFE is to grow into a national organization by empowering affiliate groups to volunteer with us on these life-affirming rebuilding projects. Affiliate groups may include established or ad hoc survivor networks, faith-based groups, corporate or community-based volunteer groups, or local grassroots initiatives. Our goal is to identify, inspire, and engage local groups of people around the United States who want to be involved in our hands-on volunteer projects to help families facing life-threatening illness to rebuild following disaster. 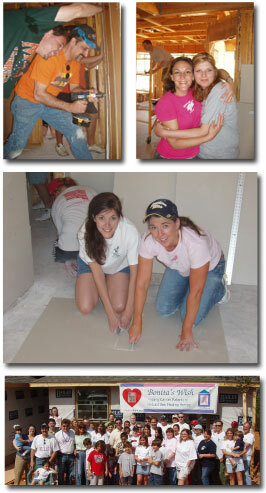 We believe the focus of Build For LIFE will provide life-changing experiences for thousands of volunteers nationwide. If you would like to organize your network of friends, family, and colleagues and establish a Build For LIFE affiliate in your local community, please contact us here. Thank you for helping us Build For LIFE!